David Hogg To Ingraham: I'll Accept Your Apology Only If You Denounce The Way Fox News Has Treated Us - Joe.My.God. 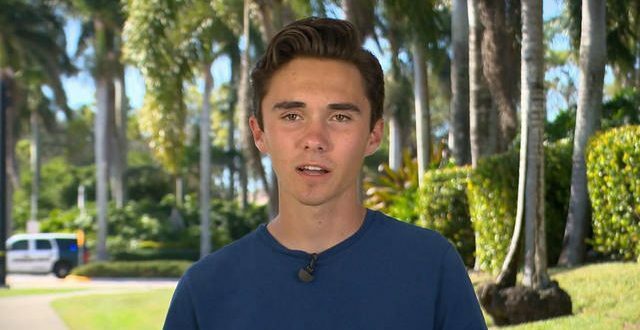 Parkland, Fla., high school shooting survivor David Hogg said Thursday that he will only accept an apology from Fox News host Laura Ingraham for mocking him over college rejections if she denounced her network’s coverage of the Parkland students pushing for gun control. Four companies — TripAdvisor, Wayfair, Expedia and pet food brand Nutrish — pulled their ads from Ingraham’s show on Thursday. Ms. Ingraham’s remarks went too far for TripAdvisor, which said it planned to stop advertising on the show and that it did not “condone the inappropriate comments made by this broadcaster.” Consumers have increasingly used social media to demand that advertisers respond to a series of controversies, particularly those involving Fox News hosts. Last year, more than 50 brands pulled ads from “The O’Reilly Factor” after The New York Times reported on settlements that the show’s host, Bill O’Reilly, had made with women who accused him of sexual harassment or other inappropriate behavior, which contributed to his ouster. Focus less on fear and more on facts. Then we can save lives in this country together.